In the heart of Belmont Shore, Long Beach, we offer private craniosacral therapy, intuitive life and business coaching, private hatha and kundalini, sound healing, acupuncture, energy healing, and reiki. CranioSacral balancing enhances the body's natural healing processes and has been proven effective in treating many medical conditions associated with pain and dysfunction. CranioSacral Therapy is not so much massage as it is a series of gentle holds at the cranium, spinal column and at the sacrum. CranialSacral Therapy can be profoundly relaxing, exhilarating, deeply moving, helping people resolve old mental and emotional issues. This light-tough therapy involves gentle manipulations as the therapist test for restrictions and assesses the quality of the CranioSacral rhythm, which your body regulates and maintains in order to feed and nurture our delicate nervous system tissues. CranioSacral helps to release blockages and restriction patterns in the body that do not serve your health, leaving you feeling restored, refreshed, relaxed and balanced. The pressure used is exceedingly light and although the focus is in and around the head and spinal column, the treatment may be applied anywhere on the body. 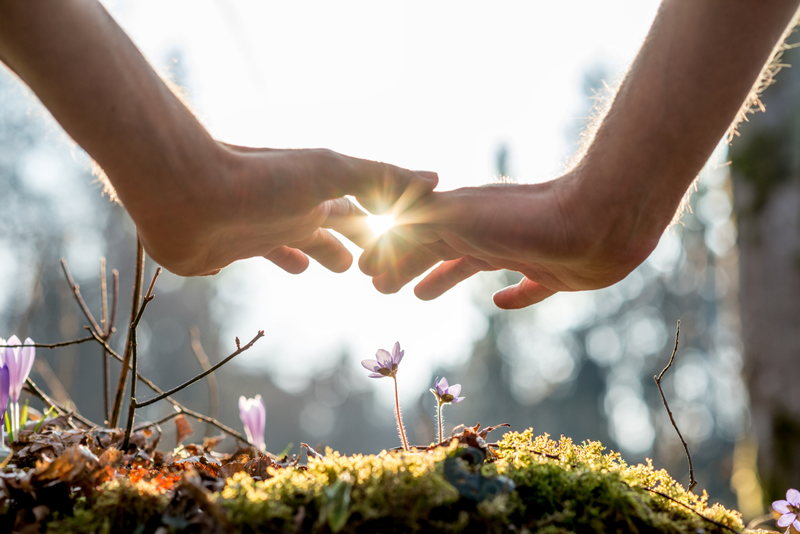 CranioSacral Therapy can provide support for dealing with challenging times in life, like work related stresses, relationship issues, serious illness or death of a family member or friend, moving, etc. - Hip, Knee & Foot Pain. Cori Cauble is an Intuitive Awareness Trainer and Pattern Healer. She is guided by divine spirit and has a unique intuitive deep listening for unconscious patterns, limited beliefs, triggers, blocks and a direct access to your highest true self and to re-wiring unwanted patterns. Identifying, unhooking and being present in the moment of the trigger and pattern and from their consciously elevate and choose is how we re-pattern. Our past patterns and beliefs are interfering in our ability to live in the present moment, they collude our reality and prevent us in clearly seeing what’s true. We live automatically by the system that got created from our early child and adult experiences, protective and positive or negative. If we do not see these deep subtle patterns and the seed they come from they will stay hidden in our subconscious and by not seeing them, they stay active and are easily triggered and automatically being used. We listen to our body and our feelings to dictate our responses and actions. If we have subconscious patterns even the healed ones and we don’t choose to not use them anymore, then they will automatically stay activated and fire inside of us warning. Stop using the old patterns by having awareness of them and then unhooking by saying no thank you, and then connecting to the present from you highest self and from that present location take conscious elevated action and then re-patterning occurs. Peace of mind, empowerment, consciousness and presence is some of the outcomes of this process. Cori developed a 3 Step Elevation Process to heal, re-wire get present and live and act from an evolved consciousness. She helps people identify their subconscious patterns and wirings and to override their triggers and automatic responses. She guides you to reconnecting you to your healthiest elevated self, allowing for you to live in an a empowered present and higher consciousness. Transformation and expansion for living aware, present and with conscious choice is Cori’s life's work and commitment. Cori spent her entire life working on this process. She has assisted 100’s of individuals and businesses to elevation. Areas Cori specializes in and not limited to. Elevating awareness, addiction, neutral mind, meditation, connecting to your true purpose, curating a life you love, leadership, executive coaching, business development and planning, elevating company culture, expanded consciousness, re-wiring, identifying and connecting to an aligned love language. Level One Training - 6 Week- 15 Hour Elevated Transformational Training. Complete Customized Immersive Step By Step Program. Level Two & Three Training - 6 Weeks - 15 Hour Elevated Transformational Training. Complete Customized Immersive Step By Step Program. Denise Marie Estrada, L.Ac., is a CA Board licensed practitioner of Traditional Oriental Medicine serving Long Beach, CA, and the surrounding areas of Los Angeles and Orange County. Denise uses acupuncture, nutritional medicine, herbal formulas, meditation, and sound therapy in the treatment of a wide variety of conditions in children and adults. She offers a unique blend of Traditional Chinese Medicine (TCM) and Yoga wisdom combined with modern natural medicine research and acupuncture techniques to help restore and support natural health and wellness in her clients. Denise specializes in womens health, natural disease prevention, pain relief, and trauma recovery using acupuncture, nutrition, and herbs. A brief explanation of acupuncture: Qi (pronounced "chee") is the life energy which provides the body with the force to circulate blood, properly metabolize fluids, and to create and utilize nutrients. It flows throughout the body along pathways known as meridians, which contain hundreds of acupuncture points and are connected to various organs and functional levels of the body. Pain or illness results when blockages occur in the meridians and the flow of Qi is inhibited. Acupuncture is the strategic placement of ultra-thin needles in acupuncture points that correspond to the patient’s condition. The intention behind an acupuncture treatment is to renew the healthy flow of Qi so that it flows freely and without blockage. ThetaHealing® is a modality developed by Vianna Stibal that focuses on creating changes within the DNA and epigenetics using quantum physics, applied kinesiology, and the power of intention. A ThetaHealer® accesses the deep theta brain wave to receive intuitive guidance from the Creator of All That Is to bring forth healing on the physical, emotional, mental and spiritual levels. In a ThetaHealing® session, limiting beliefs, traumas, and illnesses are identified, released and replaced instantly, transforming one’s vibrations, feelings and ways of being. When we change what we believe, we change how we feel, empowering us to make positive choices, create our own reality, and take charge of our health. The Body Code is a form of energy healing developed by Dr. Bradley Nelson that allows a practitioner to identify and balance the imbalances inhibiting the body’s natural ability to heal itself. A practitioner uses intuition and applied kinesiology while dialoguing with the subconscious mind to find and release imbalances to restore health. Energy Imbalances– emotional, post-traumatic, allergy or intolerance, mental, offensive, and addictive heart energy. Circuitry Imbalances– organs, glands, chakras, disconnections, meridians, and body systems. Toxicity Imbalances– heavy metals, free radicals, EM spectrum, chemicals, microbial, excesses, dental, and prions. Pathogens Imbalances– parasites, fungal, bacterial, viral, and mold. Structural Imbalances– bones, nerves, muscles, connective tissue, organs and glands. Nutrition & Lifestyle Imbalances– pH imbalance, foods, herbs, nutrients, dehydration, magnetic field, malnutrition, sleep, color deficiency, and outside needs. 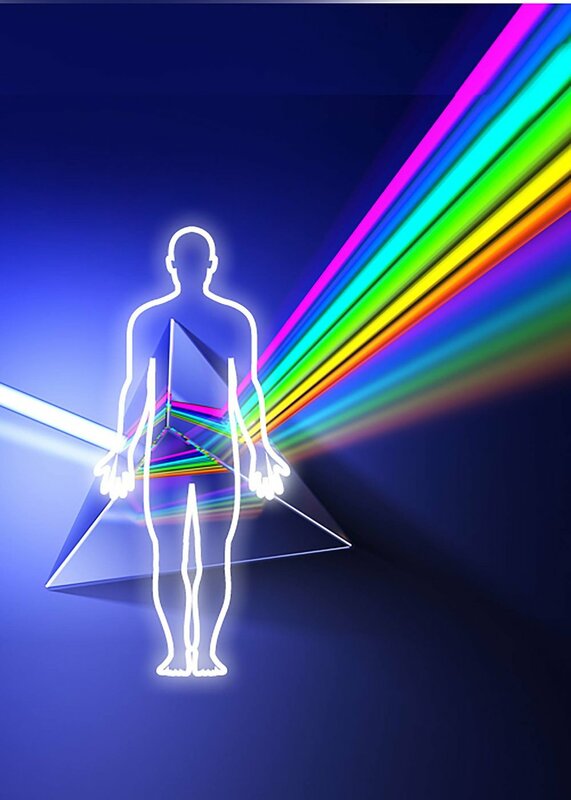 Divine Energetics is an energy clearing process that allows a practitioner to quickly identify and release “the issues in the tissues,” using intuition and applied kinesiology. The issues in our tissues is emotional energy that is born from difficult and negative experiences that have the power to keep us stuck in various areas of our life. Each emotion has its own frequency and is like a ball of energy. When we do not release our emotions, the emotional frequency traps in the body and affects the nearby tissues. Eventually those tissues fall into resonance with the vibrational energy of the stuck emotion, creating imbalances that can have detrimental effects that manifest shortly afterwards or many years later. Not only can these stuck emotions live in our bodies long after the event, they can even be passed on from generation to generation. When these emotions and energies are released, one often feels a sense of peace, freedom and lightness. To schedule or learn more about how Madison can support you in cultivating transformation, contact her directly at 562-881-8598 or hi@madison-weber.com. *Sessions are available in 15-minute increments. Package deals also available. Cultures have studied the body's energy centers for thousands of years. Reiki is the Japanese tradition of energy healing, and it dates back to the early 20th century. Chakras, the seven energy transmission centers of the body, are described in ancient Hindu texts. Meridians, the energy superhighways of the body, are the road maps on which traditional Chinese medicine practitioners based acupuncture. You don’t have to be spiritual to benefit from energy healing. Just like you don't need to understand the law of gravity before you can fall down, you don't need to completely grasp the concept of energy healing before you dive into the practice. I would recommend going in with an open mind for maximum benefit. Any time is a good time to visit an energy healer. If you are stressed, anxious, or physically drained, an energy healing session can help you relax and feel more balanced. And if you're already feeling good, it's always possible to feel a little better! It's important to note that energy healing is a complementary modality that shouldn't exclude any Western medicine you may be taking. Energy healing is a great tool when the mental capacity or physical body is not capable of grasping or releasing. It is totally accessible. There are many different types of energy healers and modalities that we offer at Go Inward. Come experience it for yourself. Shea Hardiman is an Evolutionary Astrologer who is passionate about the planets and how they act as a map for your life. She offers natal chart readings that give insight around romance, career, past lives, soul evolution, ect. Shea loves the sense of peace and the clarity her clients receive from these sessions. The truth is there is a divine reason for everything, the planets have so much information for us we just need to ask and receive the divine guidance.